A medical emergency can derail your life in an instant, and medical debt can keep the pain going long after the injury or illness has healed. Between astronomical costs for hospital visits and prescriptions, hidden fees, opaque pricing, and denied claims, getting sick can come with a nasty price tag—and that’s if you’re lucky enough to have insurance. Medical bills are the number one cause of bankruptcy in America. Fortunately, bankruptcy isn’t the only way to escape the trap of crushing medical debt. You’ve probably heard stories about people with horrific illnesses or tragic accidents who go on the internet to crowdfund their treatment and are overwhelmed by a massive outpouring of support. These stories go viral with headlines like, “AMAZING: Complete Strangers Donate $100,000 in 48 Hours for Girl’s Cancer Treatment.” They are presented as heartwarming proof of people’s essential decency, but the fact is, they are also damning indictments of a health care system that is so badly broken that sick children have to beg strangers to be able to afford the treatments that keep them alive without putting their entire family into crippling debt. Health care spending accounts for 18% of America’s gross domestic product. Medical debt is the most common type of debt in collections in the US. In 2014 43 million Americans had unpaid medical bills. In 2014 more than half of all debt on credit reports stemmed from medical expenses. Medical debt accounted for 59% of contacts by collections agencies in 2014 according to the Consumer Financial Protection Bureau. In 2016, the largest share of people with medical debt were 27 years old, the age at which they could no longer stay on their parents’ insurance. Click here for more facts about American medical debt. 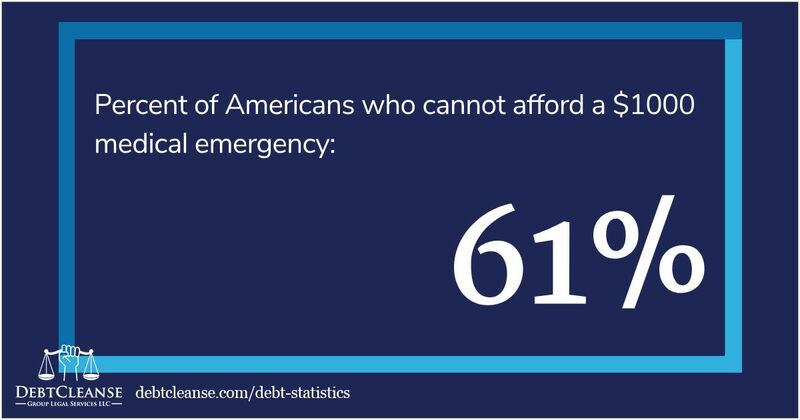 Perhaps the most troubling statistic is this: In 2018, over 60% of Americans said they don’t have enough savings to afford a $1,000 medical emergency, but over a third reported experiencing that exact situation. Our national debate over health care primarily focuses on how many people actually have, gain, or lose insurance under the Affordable Care Act and various proposed modifications, repeals, and replacements. The number of people who are insured vs. uninsured is a vitally important issue, there’s no question about that. But it ignores a grim reality: that even when you have insurance and do everything right, medical bills can still lead to serious debt. Three years later, KFF reported that 43% of adults who have health insurance struggle to afford their deductible, and “roughly a third” say they have trouble affording their monthly premiums According to KFF, those numbers have been steadily rising. Even if you can afford your premiums and deductible, insurance is only useful if it actually covers your treatment. In many cases, Americans think they are covered, only to end up with a bill for tens of thousands of dollars. Laurel Hurst, a mother of six from Kent, Ohio lived with chronic, debilitating pain for fifteen years before finally getting surgery in 2007, Deseret News reported. Aside from her deductible, she thought the whole procedure and hospital stay would be covered by her insurance. Instead, she ended up with a bill for $20,000. In Hurst’s case, her insurance capped how much they would pay per day, leaving her with the rest. They also refused to pay for half her surgery because she was treated by two different surgeons under one round of anesthesia. The hospital also sent the bills to the wrong address, so she didn’t even know about the debt until a collection agency tracked her down and started hounding her. Under the payment plan she worked out with the collection agency, barring any further financial difficulties—like, say, a medical emergency—the Hurst family will finish paying off their debt for that 2007 surgery sometime this year. Enormous medical debts like Hurst’s frequently stem from patients using out-of-network providers for medical procedures. Either the patient doesn’t understand the difference in coverage between in-network and out-of-network providers or, as happens all too often, they never get to choose. These minor technicalities can add up to major bills. “There’s a tremendous disconnect between people obtaining medical services and people paying for them,” said Kenneth Klein, owner of Florida-based Human Health Advocates. One of Klein’s clients made sure to choose an in-network hospital for a surgery, but because they unknowingly received treatment from an out-of-network surgeon, their insurance only paid 10% of the cost, leaving the client with a $27,000 bill. In addition to overwhelming credit card bills, medical debt can lead to missed mortgage or rent payments, car payments, student loan payments, or taking out a personal loan, substituting one cycle of debt and collections for another. Medical issues can also cause people to go into debt when they lead to missed work, or added expenses like having to hire in-home care for a sick family member. 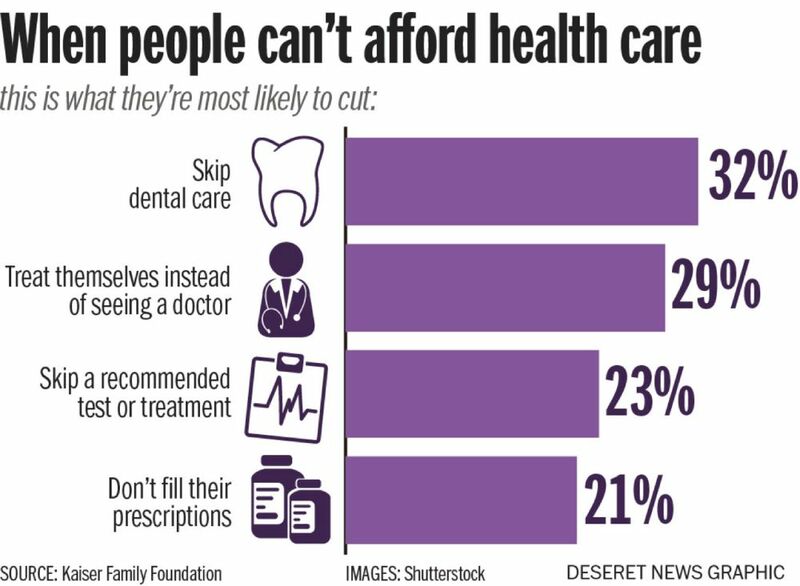 Additionally, KFF found that people are likely to skip or hold off on seeing a doctor if they are worried about the potential costs. But rather than avoiding debt entirely, this can frequently lead to a simple medical issue worsening into one that requires complex and costly treatments and hospitalization. So, by trying to avoid debt, people can set themselves up for an even larger debt further down the road. Because the work that doctors’ offices and hospitals do is so important, people tend to think that they don’t make mistakes. But nothing could be further from the truth. Remember Laurel Hurst, whose $20,000 bill went to the wrong address until it ended up in the hands of a collection agency? That wasn’t the first time she was on the wrong end of a hospital’s clerical error. A few years earlier, she got a bill for the delivery of someone else’s baby. “Half of all hospital bills have errors,” health care advocate Kenneth Klein said. Finding those errors and using them to force your creditors to settle your debt for a fraction of its original value—or simply eliminate it altogether—is the heart of the DebtCleanse strategy. DebtCleanse founder and CEO Jorge Newbery literally wrote the book on exploiting creditor errors, and now he’s sharing this free chapter on standing up against medical debt. The chapter is bursting with practical, usable, and effective strategies for putting a stop to the collections, settling your debt for pennies on the dollar, and staying sane in the process. BILL PILL ONE: Blow your unaffordable debts away. Assemble all your unaffordable medical bills and, after making sure they are scanned and uploaded to debtcleanse.com, crumple each bill into a ball. Then blow them into the trashcan. If you have unaffordable medical bills, this is how to start on the path to a cure: do not pay. BILL PILL FOUR: Corpse pose. When you pick up the phone and determine that the caller is a creditor, breathe in deep, exhale, and hang up. Then block the number. BILL PILL NINE: Turn the disease on itself. Hospitals often ask you to sign forms while you are under stress, with little disclosure as to just what services you are getting, why they are needed, and what they cost. This environment is ripe for breeding deficiencies. Your attorney can help you identify shortcomings you can exploit. BILL PILL TWELVE: Settlement harmony: Your debt should be ripe for settlement at this point, so have your counsel offer up to 5% of what you owe as payment in full. If you don’t have that amount saved, only offer what you have. You want a lump-sum settlement, not a payment plan. Looking for more assistance? Sign up for a free account with DebtCleanse to get instant access to our DebtTracker. You will also be able to upgrade to a premium membership at any time to obtain our powerful Action Tools, including 134 of the most common creditor deficiencies that you can use to fight back against unfair debt. Premium members will also be able to connect with our network of attorneys who have been specially trained in DebtCleanse’s methods. Some of our tactics are unconventional, and none of them are simply asking your creditors for better terms. Our goal isn’t to make your creditors happy; it’s to get the best possible outcome for you. Click here to sign up for our email list to stay up to date with all the ways that DebtCleanse is helping people break free from the cycle of debt and take control of their financial future.